The Cathedral is designed in the form of a Latin cross. The longest arm is formed of three naves, a central nave and two side ones, onto which three chapels on either side open. 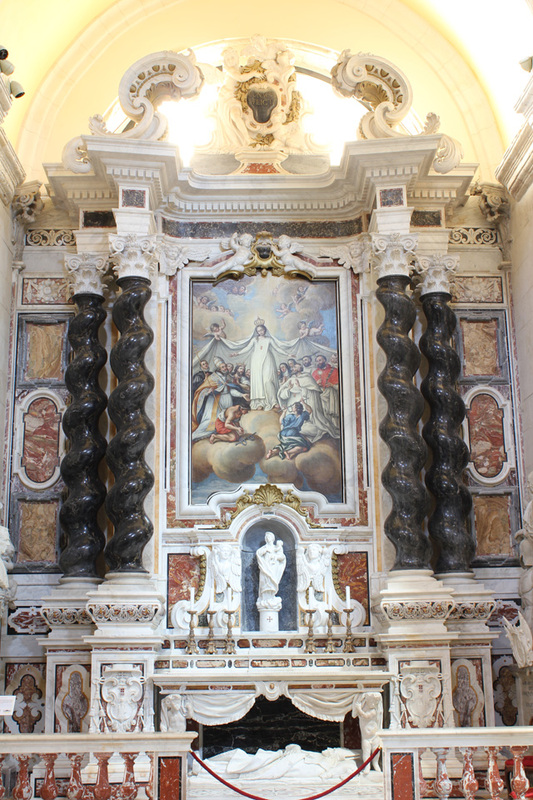 These contain important monuments dedicated to saints linked to the history and culture of the city of Cagliari. The central nave reaches the area of the presbytery, which is bordered by a balustrade that continues along the staircase. 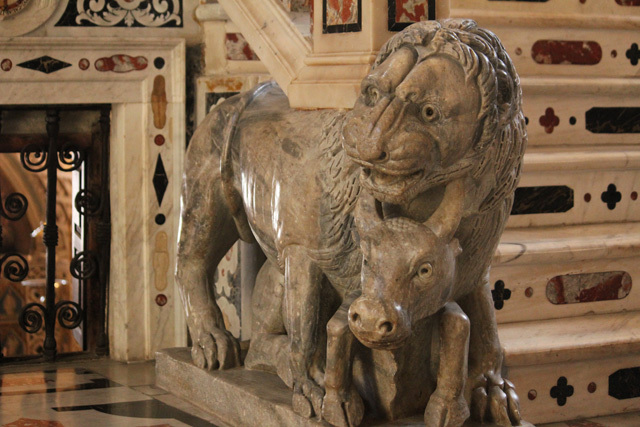 This is made from polychrome marbles and bears sculptures of lions. The presbytery is above the crypt access to which is through two doors placed symmetrically at the sides. The central barrel-vaulted chapel richly decorated with rosettes carved into the rock is reached by two marble stairs that go down to join in a lobby. The transept is on a north-south axis and is bordered, along the shorter walls, by marble monuments. 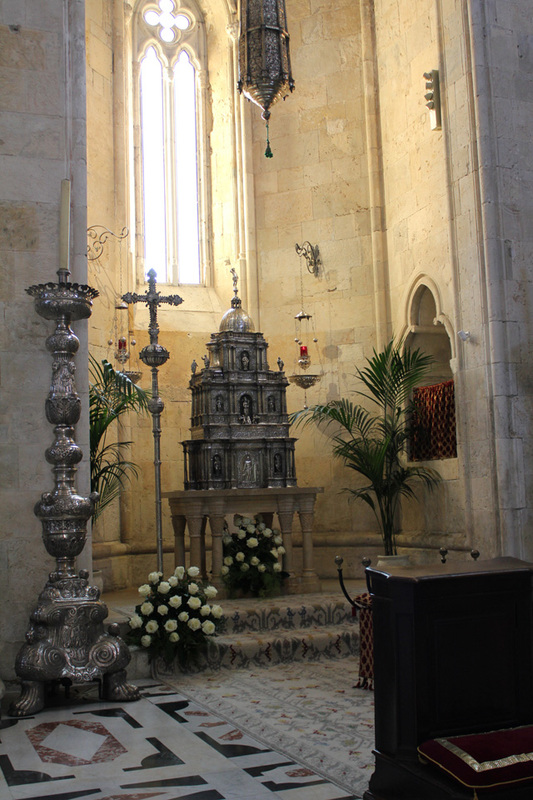 On the right of the presbytery is the altar of St Isidore, farmer, and, on the left, the funeral monument to Martin II. silversmith Giovanni Salis. 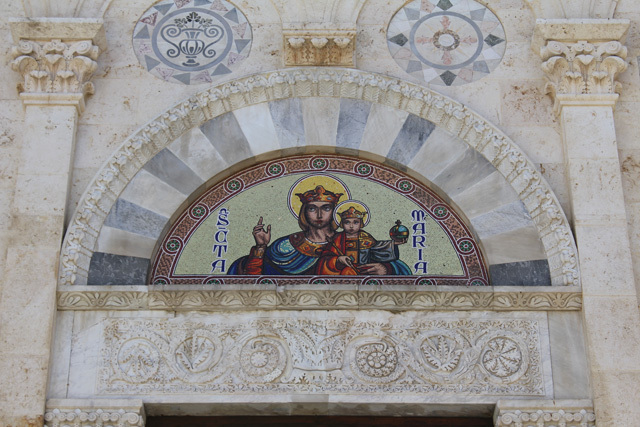 The Relic of Our Lord's Sacred Thorn is exposed in the niche, on the right wall of the chapel. The central nave and the transept have barrel vaults with a slightly lowered arch, decorated with frescoes and stuccos. The two side naves, divided by three round arches, have hemispheric ellipsoid vaults with a lantern on top. In the intersection between the transept and the central nave there is a segmented spherical dome resting on a drum. Apart from the numerous marble monuments that stand out in the Cathedral, there are also wooden works of great importance, among which the choir with the Episcopal cathedral, located in the presbytery, the doors and the royal balustrade in the left transept. The flooring consists in slabs of inlaid polychrome marble.